You attend a business networking event and meet Jack. You buy him coffee to foster a relationship. Point scored. Jack has the potential to be your new customer and even leads you to new business. Feeling pretty good, you go to another function. You're impressed with the influential speaker at the event. She walks off stage to a lineup of people who want to meet her. You figure, what the heck? I'll invite her for a coffee, too. Wrong. Quite honestly, you could be pushing away an influential connection without knowing it. Influence is a skill. Growing your business while creating influential connections is a game. It has its own set of rules, habits and etiquette that, when followed, will change the landscape of how you do business, deeply increasing your bottom-line. 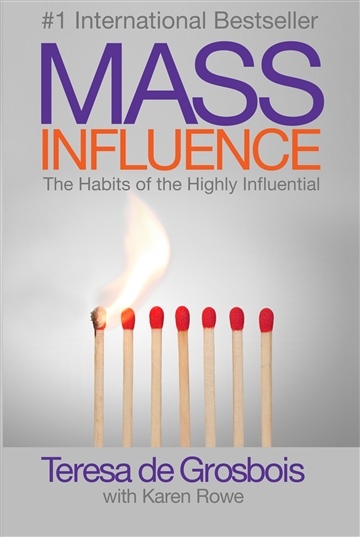 The challenge is most in business are unfamiliar with the game of growing influence. Teresa de Grosbois is an international speaker and 4X Bestselling author hailing from Calgary, Canada. As an expert on influence, Teresa teaches courses around the globe on how to become an authority in your field and how to create word of mouth epidemics around your work. Teresa is the founder and chair of the Evolutionary Business Council, an international community of emerging thought leaders who focus on teaching the principles of success and prosperity. Karen Rowe is an author and writing coach and book expert from Tampa Florida. Karen has ghostwritten books for some of the most fascinating people in the world including a gold-medal Olympian, entrepreneurs with online empires and some of the top self-help leaders in the industry.